Rodda's Creamery is a family-based Cornish company which has seen significant expansion. As production has grown, a new effluent plant was constructed in 2018 by ATANA. The factory effluent is pumped to a balance tank then screened. This in turn is pumped from the balance tank to a DAF plant through a pipe flocculator. PH is measured and adjusted with acid dosing to the required set point and polymer is also added. The DAF, dissolved air floats the separated particles to form a sludge layer which is scraped off to a sludge compartment. Duty/standby pumps remove the sludge to the waste tank. The treated effluent is fed to an anoxic and is mixed with return activated sludge (RAS) from the 2nd DAF. From the anoxic pit the mixed liquor is pumped to the aeration tank with three VSD-controlled AER-1500-24 Aqua Turbo® floating surface aerator/mixers. These 15kW aerators add oxygen to the activated sludge for the biological process and keep the tank well mixed. 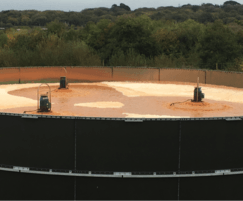 From the aeration tank, under the control of a submersible pressure transmitter, the sludge is pumped to the second DAF to separate the biosolids with the aid of a prepared flocculant (polymer) and dissolved air flotation. 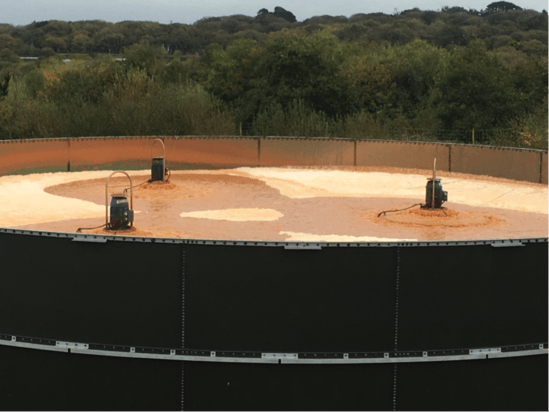 The sludge from the second DAF is either returned to the anoxic pit or to the waste sludge tank for removal from site. The three Aqua Turbo® floating aerators in the aeration tank are controlled to maintain the DO at the set point. The aerators can either run together or in rotation individually depending on demand. The units will be serviced and cleaned after 18 months of continuous operation. The client is extremely pleased with the performance of the effluent plant and the support provided by ATANA and Aquasystems International NV.